Joan wants to reach for her granddaughter and pick her up. She wants to, but she just can’t. Even lifting the weight of her own arm is difficult. She wants to hug and hold all 6 of her grandchildren. She feels guilty and can’t explain to her family how bad she feels though they can see it on her face and in her eyes. That pain of unexplained illness was just a year ago. The pain of not knowing her future or her family’s future. “You get to that place where you think, ‘you know what, its OK if I die young because it just isn’t worth it. I will so desperately miss my husband, my children, and my grandchildren, but I can’t live like this’,” says Joan as she remembers that time. A time filled with unexplained illness. “I couldn’t describe it though. All I could say was that I feel like I’m dying,” says Joan. 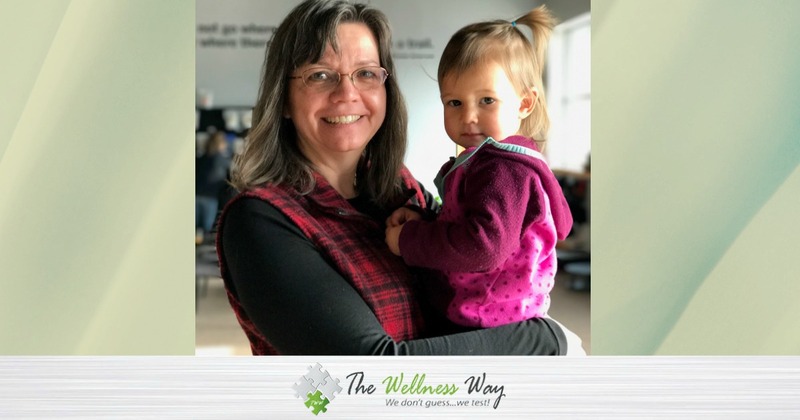 When she came to The Wellness Way they knew that meant they had to help Joan’s body get back to homeostasis, normal function. The Wellness Way did a battery of tests. 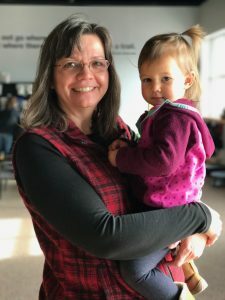 Joan learned she was very toxic with legal lead poisoning, mold illness, SIBO (small intestinal bacterial overgrowth), CIRS (Chronic Inflammatory Response Syndrome), leaky gut, and through genetic testing learned she had the MTHFR gene which was inhibiting the methylation cycle and her body’s ability to detoxify. The Wellness Way helped Joan identify and eliminate foods that were causing inflammation. As a result, she helped her body detoxify and reduce the inflammation. She also did several months of IV therapy to kill off bad bugs. Joan started to feel better, but there was more to her journey. “I shared with Dr. Jesse- I can’t ever go back to where I was but I still have a ways to go. I do understand if you are not able to help me accomplish what my body was meant to do on its own, I will die young. So, no pressure,” says Joan. Joan remembers what he said, “I got you Joan. It’s ok but I want you to know it’s not just me. We have about 50 doctors that are aware of your case and are working on this with me. We got you. It’s going to be ok.” Dr. Jesse was talking about doctors who are a part of The Wellness Way network across the country. She improved her nutrition and added supplements that supported her body’s methylation process. She learned what was right for her body. Through testing you can find out how to best support the body. “As long as you’re supporting your body the way you should then you can, and should, live a happy life regardless of what your genes tell you,” says Dr. Jesse. At first, Joan was discouraged when her children tested as having the MTHFR gene but as she learns more she is happy to know all their stories will be different. “So as my grandchildren are now here (at The Wellness Way) their future relies on this as well. Once we understand where we are having trouble in this cycle we can supplement our body from the outside. We can make choices to help our body function on its own,” she says. Joan pictured holding her granddaughter and feeling optimistic for the future with her family. “So, I’m excited. I’m excited for myself. I’m excited for my kids and I’m excited for my grandkids,” says Joan.